Home > Share > Postcards > Dreams for the Future > My dreams for the future? > My dreams for the future? 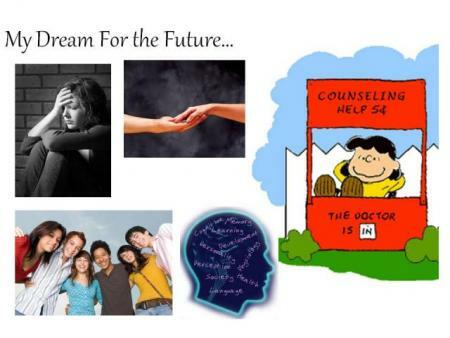 My dream for the future is to become a psychologist so that I can help people cope with and solve problems that they are having in their lives. I feel that it is my calling in life to help people, since I enjoy listening to others and helping them. I specifically want to work with children and adolescents because growing up can be really tough. I think it's important for kids to know that there are people who won't judge them and truly want to help them live the best lives they possibly can. I know that achieving my dream will require a lot of education and hard work, but I know that the end result of changing kid's lives will be worth it!